The Cornish pasty was the original working man's food and remains popular with everyone including the Prime Minister. Use that as inspiration for packed lunch ideas revolving around pies. Heartier than a sandwich, a pie doesn't have to be bland and stodgy. Balance tradition with imagination to create delicious savoury pastries that will liven up any lunch-box. Traditional fillings for Cornish Pasties were meat and vegetables, usually the leftovers from Sunday's dinner chopped and stuffed into a resilient pastry that would keep its shape down the tin mine. You don't have to stick to the rules. Experiment with lighter fillings. Poached chicken thigh fillets combined with caramelised fennel and onion are a stylish option for packed lunch ideas. Vegetarians will enjoy chick peas with tomato and spicy harissa, with a hint of mint. 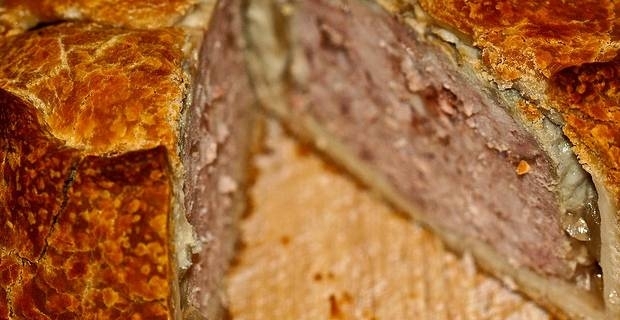 Traditional pork pies require the mastery of making pastry using hot water and melted lard. Don't panic if the mixture feels very sticky; that's part of the process. Results should be crispy and satisfying. If you don't want to mince and season your pork filling, a useful shortcut is to use high-quality pork sausage meat. Injecting a small amount of clear meat stock for the jelly adds a professional touch. The Spanish empanada is the perfect compromise between a pie and a sandwich. The pastry is close to unleavened bread, with a generous measure of olive oil going into the mixture. In Spain fillings are traditionally tuna and peppers with lots of onions and a little tomato for moisture. The addition of the dried pepper pimenton spice gives it an authentic Spanish flavour. In winter months, filling pies are among the best packed lunch ideas. Pies do not respond well to an office microwave though. Instead, wrap a hot pie in tin foil (shiny side inwards) in the morning. You will be surprised how long it can retain the heat. It should be warm for elevenses at least, if not for lunch time.